Today, Meditation is often considered an excellent antidote to the stresses of modern-day life, but it is much more than that. It is a very effective way to create emotional and physical equilibrium. Correct meditation practice nourishes body and mind, as it improves posture, regulates physiological processes in the body, for example the production of body chemicals such as hormones and neurotransmitters, and addresses the energy body and the meridians as it helps to clear blockages. Meditation is also at the root of Taiji & Qigong practice. Meditation at the Centre of the Mind can help to change negative thought patterns and improve health, and lead to the re-awakening of latent functions, such as healing abilities. Current meditation teaching and practice often omit the essential elements of correct body posture and breathing. This is particularly the case when meditation is thought of mainly as a way of relaxation. In China, one of the most popular meditation systems is Chan Zong (Chan School). The word Chan stems from the word ’Zhang’, which can be translated as ‘containing one’s thoughts’. 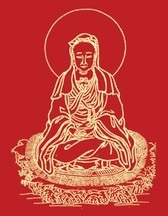 The Dao of the Golden Light is an original form of Zen (Chan in chinese) meditation. The focus is to find the Centre of the Mind - the place from where all thought originates. Both Buddha Sakyamuni and Padmasambava spoke of the Golden Light that can be found in this area. Wuxi meditation, based upon the original principles of the Dao of the Golden Light, teaches correct body posture and breathing exercises in order to cleanse internal organs and meridians. 4. Mind exercises for mental and emotional equilibrium, and learning how to engage the mind’s power for self-healing. The balancing effect of meditation on the body and the mind creates an overall healing effect. It helps to bring about a positive change of emotions and health. When the foundation for a healthy body and a balanced mind is laid, happiness, beauty, wisdom and higher development will follow. Discover the path to a state of enhanced wellbeing and joy of life. There are many branches of Chan Zong, and the most important one is ZhuSi Chan (the teaching of the ancestors). The founder was Monk HuiNeng (638-713) who pointed out that the centre of mind is the place where to ‘contain’ and where to change one’s thoughts – with this practice, he said “an ordinary person can find their own nature and become enlightened”. He was the first to speak about ‘sudden realisation’, or ‘sudden enlightenment’, which can be the result of mental information transmission from teacher to student. This technique was known as ‘mind stamp’ information that passes directly from mind to mind. Shen Jin studied different Chan Zong meditation methods with her late father, Dr. Shen Hongxun. 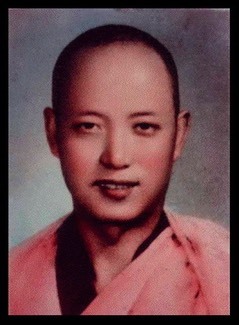 His Root Master was Lama Fahai (the Chan Zong lineage of Lama FaHai, descending from Monk XuYun). Shen Jin calls this method the Golden Light Meditation, because in this teaching she shows us how to find the Centre of Mind, which is a bright, brilliant light.